Disciplined Equity Management, Inc. is the brainchild of Don Davey, the first and only four-time Academic All American in NCAA history. After completing a successful collegiate football career, graduating from the University of Wisconsin with honors, and earning a Master's degree in Mechanical Engineering, Don was drafted by the NFL's Green Bay Packers in April of 1991. Upon the advice of his agent, he entrusted his modest signing bonus to the care of a broker at one of the nation's oldest and most well-respected full service brokerage firms. Although not yet fluent in the nuances of money management, Don utilized the analytical skills he honed in engineering school to carefully dissect the commissions/fees he incurred and the performance of his account. In all too typical "Where are the Customer's Yachts?" fashion, it quickly became obvious that his broker was managing the account with a goal of maximizing his own commissions rather than maximizing the account's performance. This realization initiated Don's journey into professional money management. He devoted the next ten years to applying scientific engineering principals to the field of finance. He gathered mounds of data, performed analysis, tested theories, and modified his approach appropriately. 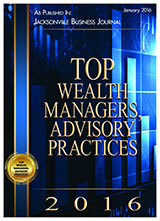 What emerged was a rational, logical, and disciplined approach for managing his own investments. Toward the end of his NFL career, he shared this proprietary approach with a few of his NFL teammates. When several pleaded with him to manage their portfolios in the identical manner, DEM was born in June of 1998. At a time when selling inappropriate products, generating fat commissions, and churning accounts was the norm in the financial services industry, Disciplined Equity Management was a pioneer in holding itself to the Fiduciary Standard. Simply stated, this means that DEM promises to always act in its clients' best interests. Our clients enjoy the confidence that stems from our conflict-free advice, intelligent planning, disciplined approach, customized portfolios, broad diversification, low costs, tax-efficiency, institutional quality investment vehicles, and unwavering commitment to achieving their goals. Contact us to find out how we can instill this confidence in you.